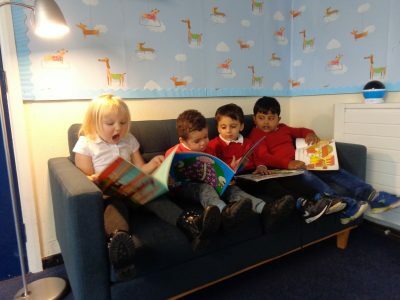 We like to get comfortable on our sofa and share our love of reading with our friends and even Ms Edge. 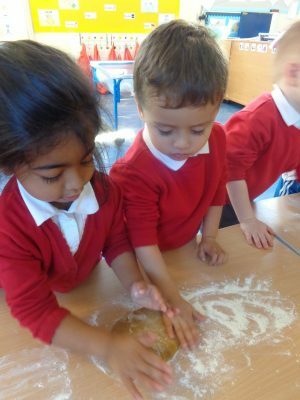 In Nursery our story was The Gingerbread Man. 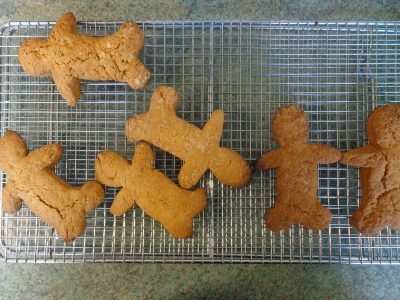 To get us started we made so very tasty Gingerbread men. 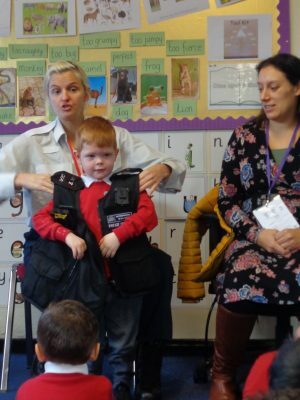 During Citizenship week we had a visit from some lovely Police Women. They told us about what they had to do for their job.They let us try on some of their uniform and even let us wear their handcuffs! 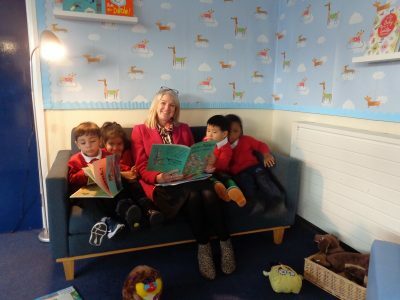 We loved this visit so much. 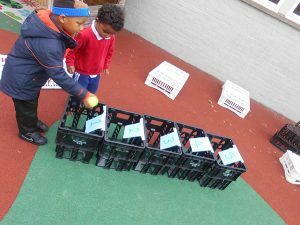 For Cultural week, Nursery learned about South Africa. 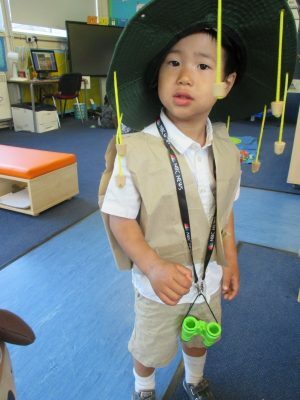 We had a great day when we came in dressed up in our safari clothes. 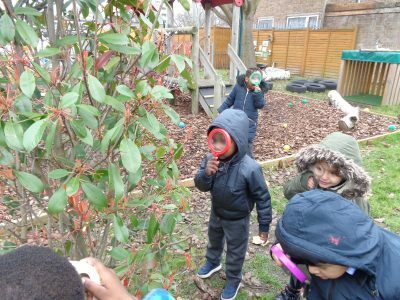 We all went on a safari around the Nursery to find the jungle animals. 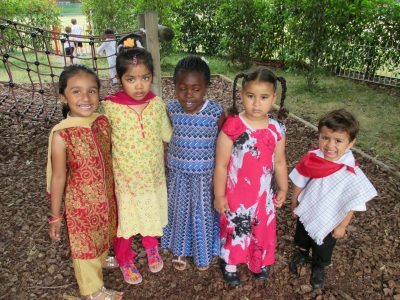 It was Cultural week at Hallsville, on one of the days we all came in wearing our Cultural clothes. 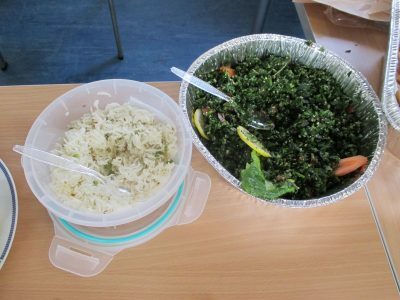 We also brought in some of our cultural foods from home for all our friends to share. 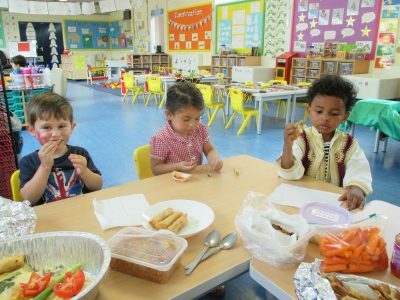 It was very exciting to try new foods. 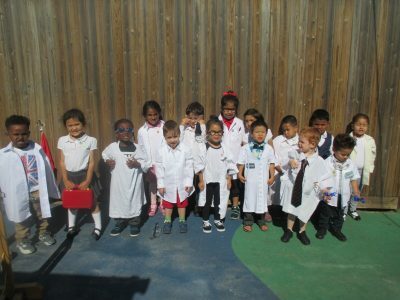 We all dressed up as scientist for Science week. 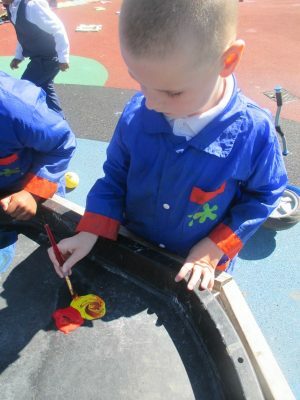 In Nursery we explored mixing colors together to see what colors we could make. 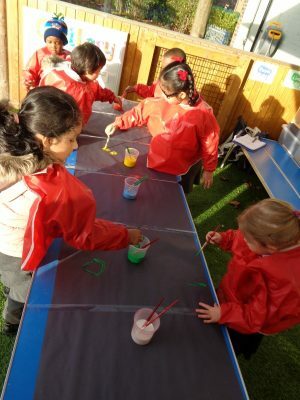 We made pink, green, purple, brown and even black! 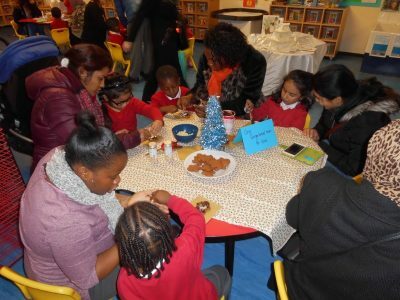 The children and their parents got in he festive spirit at Nursery. 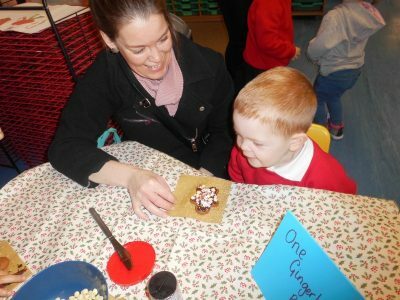 They decorated Gingerbread Men and made Christmas cards and decorations. 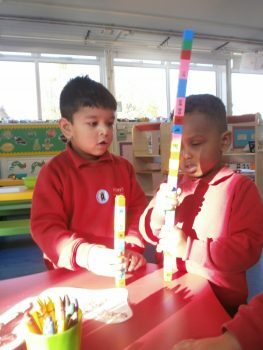 We have been reading Whatever Next and learning about space. 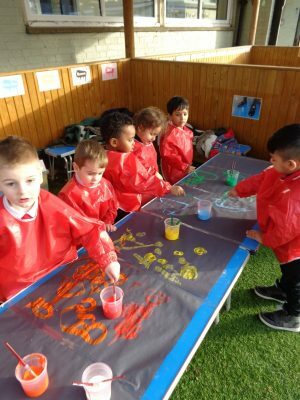 Using large black paper and paint, Nursery worked together to paint what they think they would see in space. 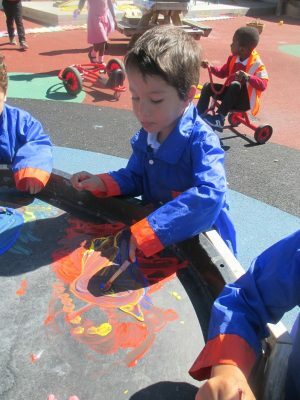 They painted rockets, planets,stars and aliens. 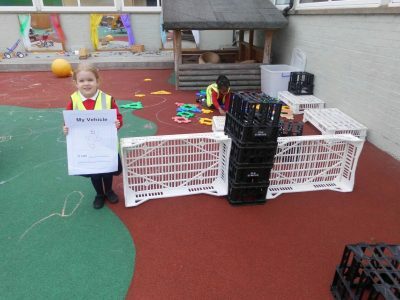 We all worked independently together to build our own park. 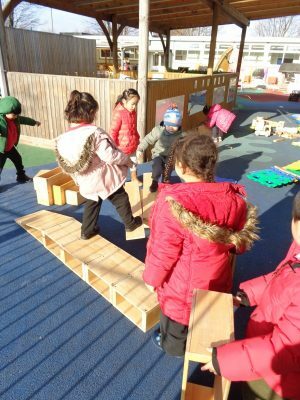 We made a see-saw and a slide. 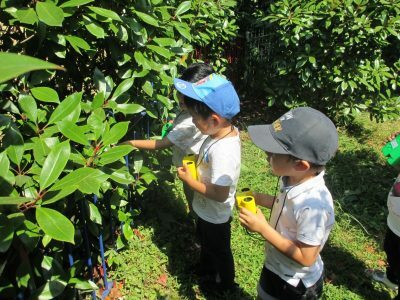 It took us a long time but we really enjoyed ourselves. 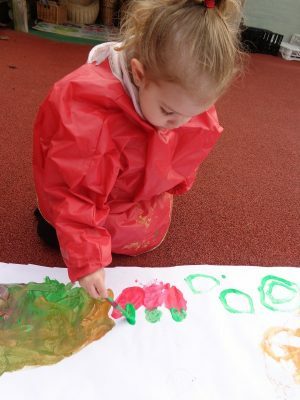 In Nursery our new book for the next 3 weeks is The Very Hungry Caterpillar. 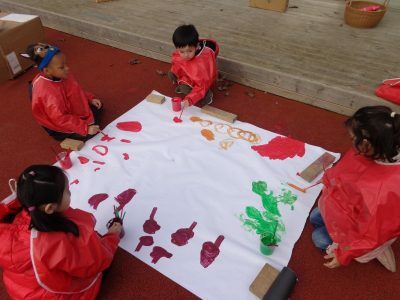 Using large paper and paints we all painted pictures of the different fruit the caterpillar ate. 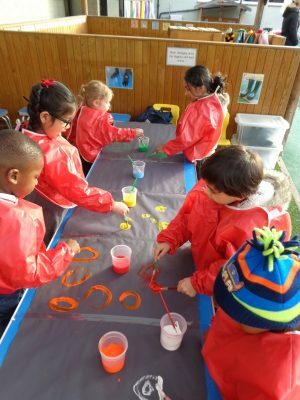 We had fun exploring different colours and fruits. 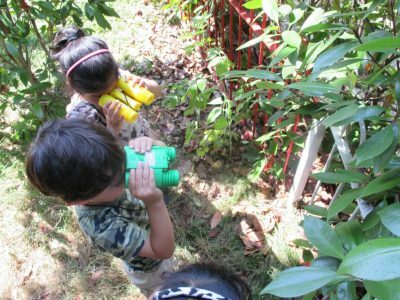 We became Bug Detectives!! 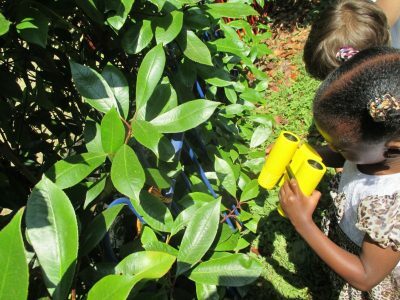 Using our magnifying glasses we set off to find as many bugs as we could. 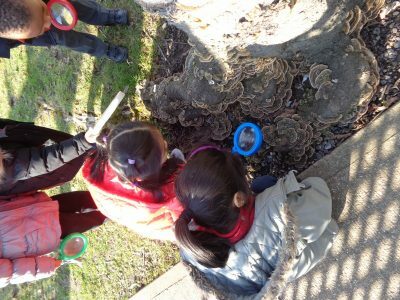 We found worms, fly’s, ants and lots more. 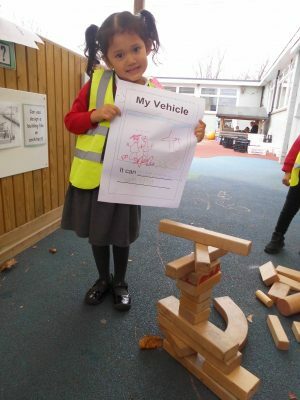 In Nursery we were asked to design our own mode of transport that would go through a swamp, up a mountain or under the sea. 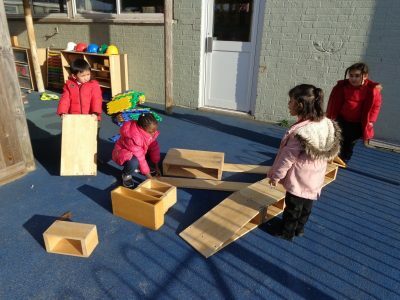 Once we had drawn our design we used different construction materials to build it. 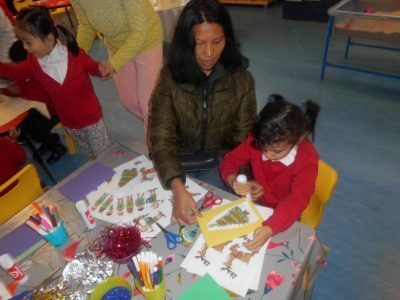 The children and their parents got in the festive spirit at Nursery. 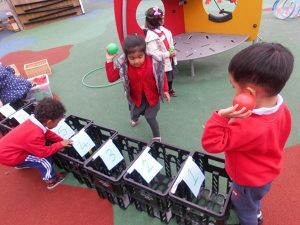 For one of our activities we had to give ourselves a challenge. 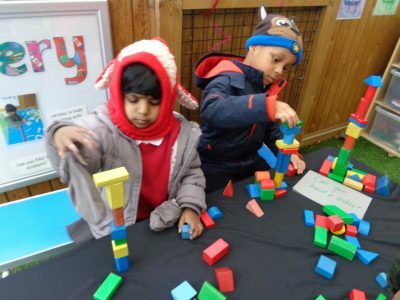 These children challenged themselves to build a tower with 20 wooden blocks. 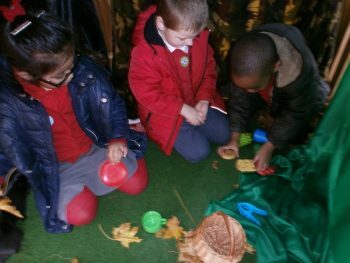 We are having a picnic in the tent.” said the children in the den. 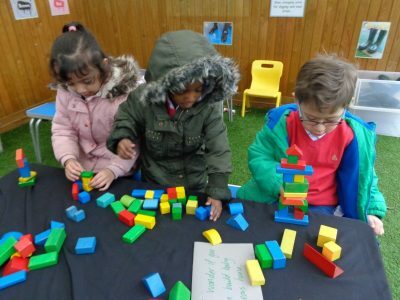 Picnic in the nursery forest. 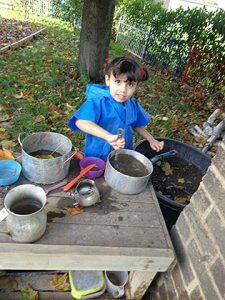 We like spending time at our mud kitchen. 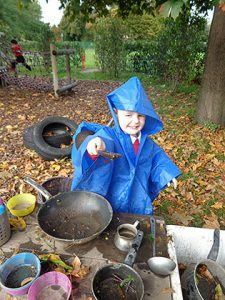 We get to pour and mix and create a variety of dishes. Delicious!! 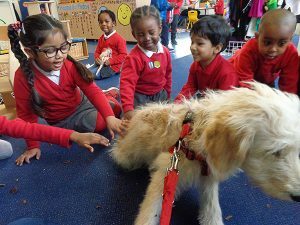 Star is the School Dog and she came to spend the day with us. 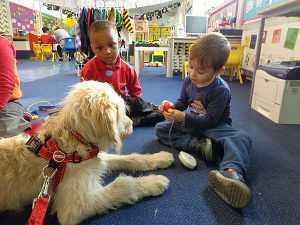 It was so lovely to see her and to get to stroke her. 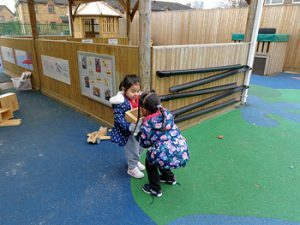 We even gave her a check up to make sure she was okay. 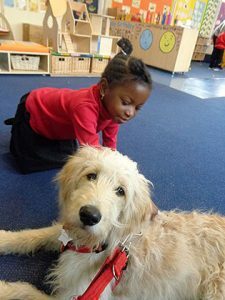 We all love Star. 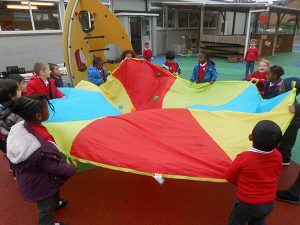 In Nursery we always enjoy playing games with the parachute. 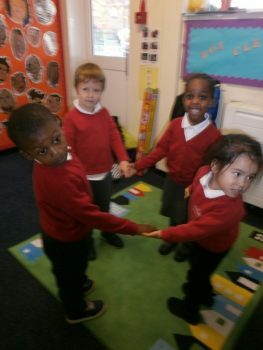 Everybody is always excited to join their friends. 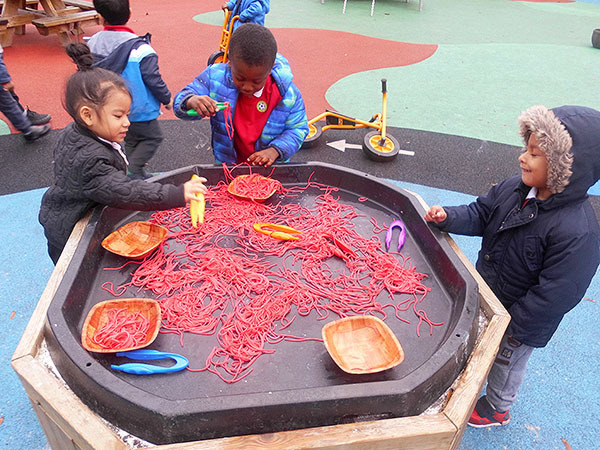 In Nursery we used the tweezers to pick up the sticky red spaghetti. 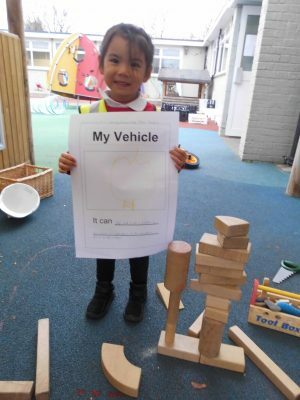 This is great practice for our fine motor control. 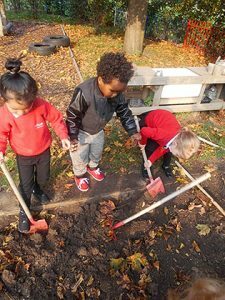 In Nursery we like to explore the digging area to see what we can find. 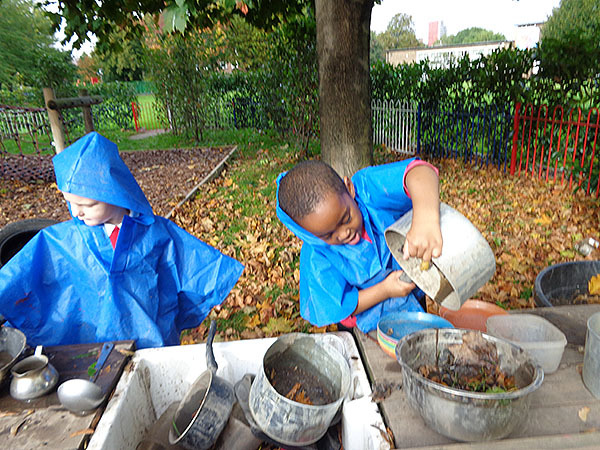 It takes a lot of work to dig a hole! 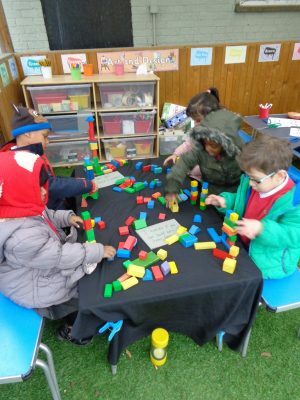 The children created their own game and everybody wanted to join in. 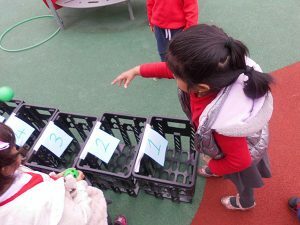 It was a great way to learn their numbers. 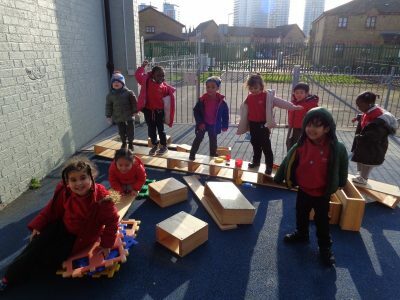 We have been using large construction to build in the outside area. 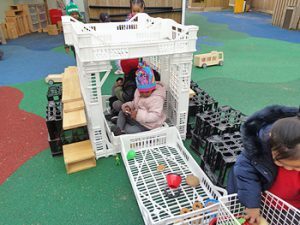 Den making is great fun! 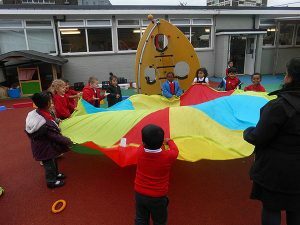 © Hallsville Primary School | Website designed and built by NPW. 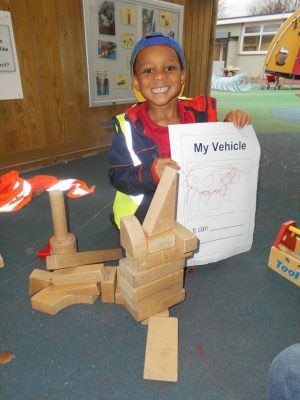 Hallsville is part of Agate Momentum Trust, which is a charitable company limited by guarantee and registered in England and Wales with registered number 11077761. 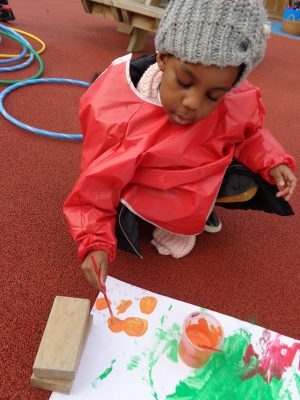 Its registered office is at Hallsville Primary School, Radland Road, Canning Town, E16 1LN.